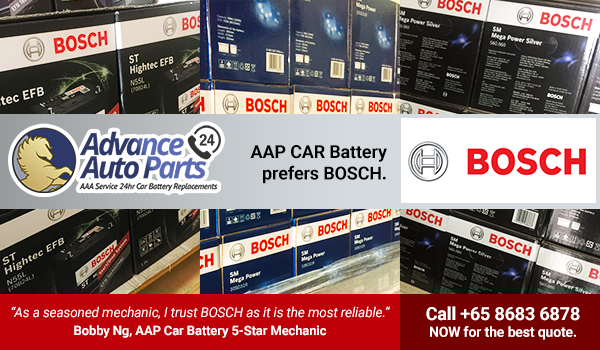 Our battery change service is inclusive of a NEW car battery with 1-year warranty, onsite replacement fee and diagnostic tests. How would I know if my car battery needs to be replaced or change when my car won’t start? You can almost be certain a battery replacement or change is needed if you hear (1) a collection of clicking sounds, or (2) no sound when you try to start your engine / crank your car or truck. It is also a tell-tale sign that it’s a dead car battery if the battery was last changed in more than a year ago. Do you provide warranty for your battery? Yes we do provide warranty for the car batteries we replace, and we do a 1-on-1 change for you. All petrol powered vehicles comes with a 1-year warranty while diesel powered vehicles come with a 6-months warranty. Please kindly note that this warranty is mainly against manufacturer’s defects.